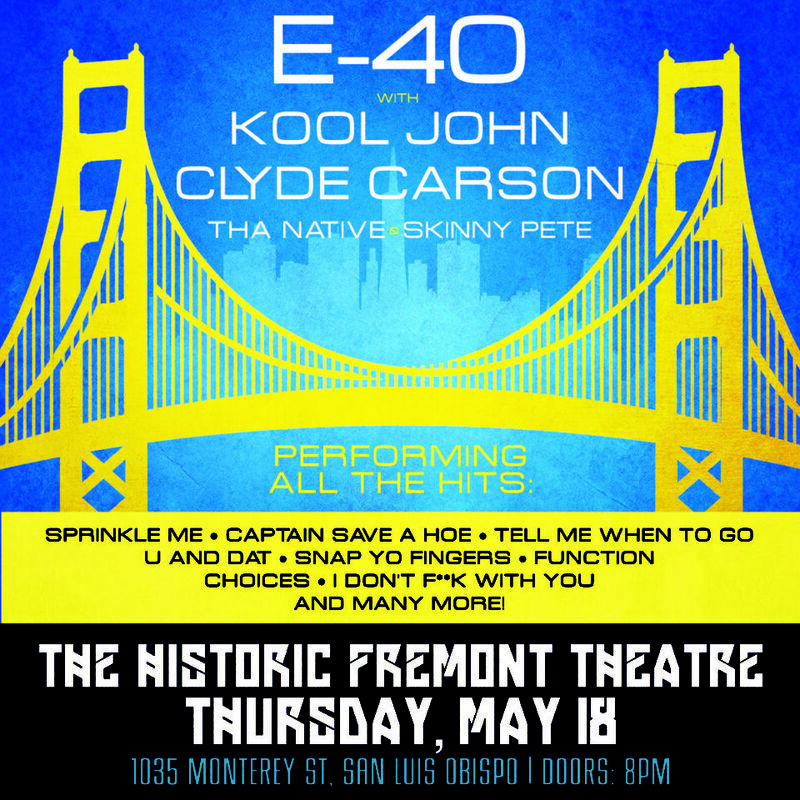 E-40 with KOOL JOHN, CLYDE CARSON, THA NATIVE & SKINNY PETE - Otter Productions Inc. | Otter Productions Inc. E-40 with KOOL JOHN, CLYDE CARSON, THA NATIVE & SKINNY PETE - Otter Productions Inc.
E-40 and Kool John, Clyde Carson, Tha Native & Skinny Pete… all are coming to the Historic Fremont Theatre in downtown San Luis Obispo on Thursday night, May 18th… All Ages. E-40 is a pioneering Bay Area rapper who gave rise to the West Coast sound and made Oakland a hub of rap culture. He had his biggest commercial success in 2006 with his single “Tell Me When to Go”. Considered a natural successor to Too $hort’s reductionist thematic with his glorification of the ‘player’ hip-hop lifestyle, E-40 started his own independent label, Sick Wid It Records, in the Bay area of San Francisco in 1990. Working with his brothers and sisters as part of the Click, an underground sensation on the streets of Vallejo.His flamboyant lyrics and a willingness to experiment with musical techniques like overdubbing made him an influence throughout the U.S.
Advance G/A tickets on sale now at all VALLITIX locations including Boo Boo Records in downtown San Luis Obispo. 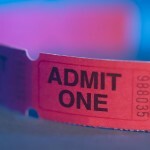 THERE WILL BE TICKETS AVAILABLE AT THE DOOR.